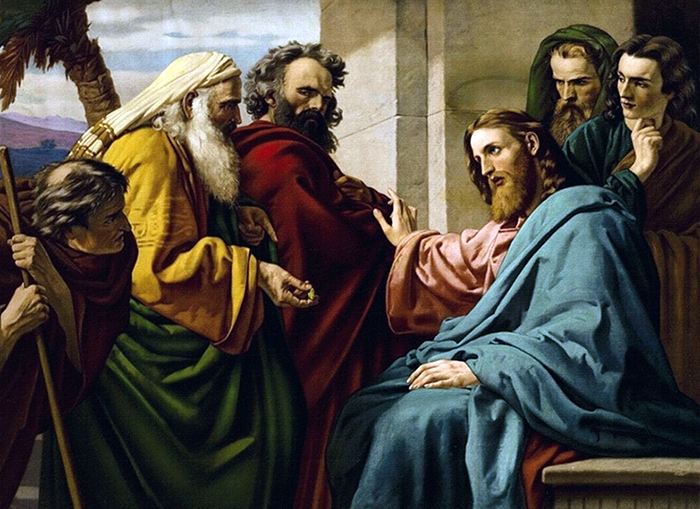 The assembly of the chief priests and scribes accuses Jesus of the following: “We found this man perverting our nation, forbidding us to pay taxes to the emperor, and saying that he himself is the Messiah, a king” (Luke 23:2). To the accusers, it doesn’t matter that Jesus didn’t exactly do those things as reported. They’ve already made up their minds that he is a liar, and they’re willing to leverage even their lies against him to put him in his place. They appeal to the powers that be and pitch their “lesser” lies against what they believe to be his “greater” lies. Likewise, whether we know it or not, we have already made up our minds about who Jesus is. We stand ready to accuse and resort to lies when he doesn’t conform to our expectations of who he should be. What we fail to realize is that we don’t actually see Jesus as he is. Our judgment is clouded by the belief that he is not a worthy Messiah candidate. Betrayed, arrested, denied, tried and convicted, mocked, beaten, and crucified: this does not describe anyone whom we’d want to be God’s chosen king and Messiah. After all, our messiah would have given us what we wanted: power, health, and wealth, etc. Like one of the criminals on the cross next to Jesus, we’d ask and demand, “Are you not the Messiah? Save yourself and us!” (Luke 23:39). If we don’t have any evidence in our lives of Jesus “saving” us, then we turn away from him. It turns out, however, that our view of Jesus is not righteous and truthful, but self-righteous and false. The truth is not in us. The truth has been denied. Barabbas, an actual murderer and enemy of the state, is released rather than Jesus, the innocent one. To those who weep for him, Jesus declares, “Do not weep for me, but weep for yourselves and for your children. For the days are surely coming when they will say, ‘Blessed are the barren, and the wombs that never bore, and the breasts that never nursed’” (Luke 23:28-29). Jesus, here, pronounces a curse rather than a blessing prior to his crucifixion. Death, on the one hand–or never being born, on the other–is preferable to living in a God-forsaken world where the Messiah is wrongly judged and put to death. According to the Messiah, we are the ones who ought to be weeping for ourselves rather than for him. But God gives us what we ask for; God grants us our lies and our false accusations. Those lies, after all, are what lead to the crucifixion of an innocent man, as well as precipitate our own death and tears. It turns out that we still need saving from our lies, our violence, and our tears, since God and the truth are not on our side. 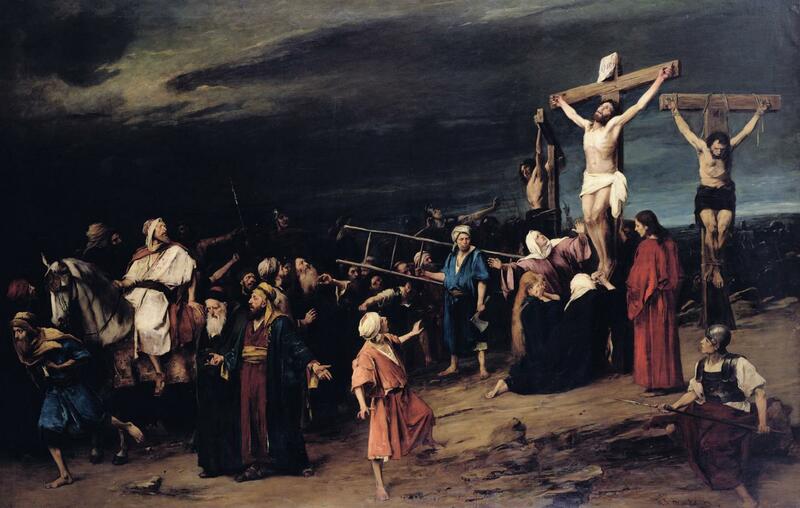 Jesus nevertheless speaks as he is being crucified. While God is silent, Jesus is not. He prays to God his Father on behalf of the liars, the murderers, and those with misplaced tears (for him rather than themselves). “Father, forgive them; for they do no know what they are doing” (Luke 23:34), Jesus prays. “Despite their being against us, and despite their not knowing what they are doing, forgive them,” Jesus pleads to God. 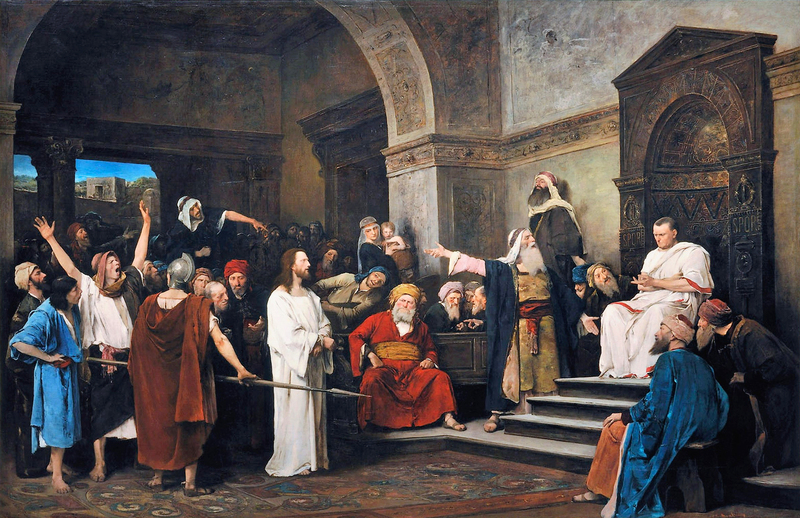 There is suddenly a glimmer of truth: one of the criminals hanging next to Jesus confesses Jesus’ innocence and his, (the criminal’s), deserved punishment (Luke 23:41). He prays that Jesus remember him when he comes into his kingdom, to which Jesus responds with the promise that today this criminal will be with him in Paradise (Luke 23:42-43). When God and the truth are not on our side—and we know not what we do—Jesus prays that his Father forgive us. Then, by the authority of God and his spoken promise of Paradise, Jesus answers the repentant prayers of a crucified criminal, as well as our own. The truth that God forgives sinners is invoked and delivered by Jesus on the cross—despite the lies, the violence, and the tears that made the cross a reality in the first place. Despite our unwitting lies and our not knowing what we do—to God and to one another—we believe in the truth that Jesus delivers on the cross. We identify as criminals toward God, criminals for whom Jesus is nevertheless willing to pray. Rather than uttering self-righteous lies and accusations against God and others, we ask the One who prayed on our behalf to remember us in his kingdom. We are given the promise that we shall be with him in Paradise. We trust and rejoice in the promise of everlasting life—this greater truth—that we and the crucified One will share. The cycle of lies, violence, and tears is mercifully broken in our lives. Our prayers seek the truth of God’s forgiveness, rather than revenge against our enemies. We no longer deny Jesus and his Father’s kingdom to the “undeserving,” or reserve the promise of Paradise for ourselves. As Jesus spoke on behalf of his Father, so now we also speak, on behalf of Jesus, the forgiveness that God promises sinners. We rejoice in the opportunity to share with others this true alternative to the deadly cycle of lies, violence, and tears. We begin to experience Paradise now, forgiving as we have been forgiven.